INSURANCE FRAUD red Rubber Stamp over a white background. 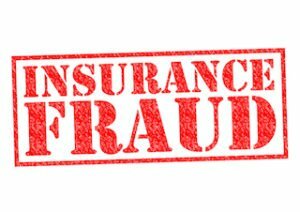 WASHINGTON – Blown up houses, staged wrecks and bogus spine surgeries were among the damage inflicted by nine convicted scammers newly selected to the Insurance Fraud Hall of Shame. They were enshrined by the Coalition Against Insurance Fraud. The Hall of Shame recognizes the year’s most extreme insurance schemers. All were convicted or had other legal closure in 2015. 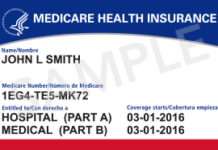 True-life cases reveal insurance fraud’s high human costs. At least $80 billion is stolen a year. Innocent people are traumatized, injured and lose their savings. Burning desire: Financially strapped Mark Leonard botched an insurance arson of his Indianapolis home. A leaking gas line blew up the place, killed two next-door neighbors and leveled much of the neighborhood. Puppy plot: Nearly 30 puppies cringed in their cages as Gloria Lee’s henchman spread gasoline around her Las Vegas pet shop for an insurance arson. Incredibly, Lee’s own store security cameras filmed her executing this scheme. The dogs were saved. Dollars & dents: One of America’s biggest staged crash rings ever stole money in the New York City area. Crash kingpin Mikhail Zemlyansky churned out $279 million in false injury claims from setup wrecks. He bribed doctors to make false diagnoses. Spineless spinal con: Dr. Aria Sabit sliced open and fused spines of healthy patients to try and steal $32 million of insurance money. Some of the Detroit-area man’s patients were disfigured and permanently injured. Unsettling settlements: Manhattan attorney Steven Krawitz stole $1.9 million of insurance settlements from nearly 50 clients. Most received no money; some were destitute. Krawitz even stole from a 96-year-old great-grandmother. 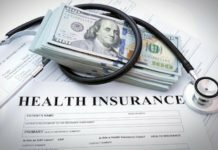 Unhealthy health plans: At least 12,000 consumers bought fake health coverage William Worthy sold throughout the U.S. in a $14 million theft. Many of the South Carolina man’s victims had thousands of dollars in unpaid hospital bills. Police raid: NYPD officer Jose Urena became lawless. He kept buying Mercedes he couldn’t afford. He then burned, vandalized or crashed them for false insurance claims — and to escape car payments. Lifeless life plot: Debt-ridden Jose Lantigua bribed corrupt officials to declare he’d died and was cremated in Venezuela. The Jacksonville, Fla. man tried to steal more than $9 million in life insurance proceeds. Except Lantigua looked nothing like the U.S. man whose identity he stole. Deadly life insurance: Pierre Collins beat his son Barway to death, duct-taped his body and threw him into a Minneapolis river for a mere $50,000 in life insurance. 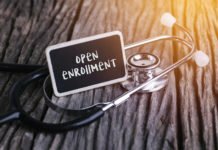 The Coalition Against insurance Fraud is a nonprofit alliance of consumer groups, insurers and government agencies combating all forms of insurance crime. The Coalition was founded in 1993.